Almost exactly one year ago I went to Machu Picchu, in October of 2016. It was, by far, one of the most incredible things I have witnessed in my life. Peru was one of those places I always wanted to visit for spiritual and cultural reasons, and any trip to Peru is not complete without seeing the infamous Incan citadel in the Andes Mountains. I visited Machu Picchu on a huge budget crunch with less than a month of planning in advance (looking back, I really have no idea how I made 1 month in Peru happen at that time- it was a huge leap of faith and I credit my guardian angels). And the more I looked into planning my trip, the more the expenses seemed to pile up. I had been in Nicaragua for 3 months teaching yoga and had gone through a huge upheaval in my personal life. During this time, I transitioned from a performance career into a traveling teaching career while learning some very difficult lessons and trying to heal some physical injuries which were actually manifestations of mental and emotional work I needed to do. My trip to Peru was also a formulative part of this journey, and a necessary one at that, too. I didn’t have a lot of money, so I needed a cheap solution to see Machu Picchu. After my experience with Mother Ayahuasca (post to come), I ventured to the mystical Sacred Valley, which became one of my favorite places in the world the moment I stepped foot there, despite it being rather cold! If you follow me online at all, you know I am a sun-loving and skin-baring beach lover… But the kundalini shakti energy in this part of the world is FOR REAL! If you feel attuned to energy on this planet, I highly recommend you visit this area at least once in your life. Many people plan their trips to Machu Picchu months in advance. If you’re doing the Inca trail or going during high season, this is definitely true and necessary. I met people along my travels who were gearing up to do this hike or another popular option, the Salkantay. However, since I was on a budget and those hikes cost hundreds of dollars plus gear prep, I knew I couldn’t do the popular Inca Trail this time around since I had decided to have an ayahuasca experience instead. I hope to one day go back and do one of those trails and climb Huayna Picchu (I climbed Machu Picchu Mountain). So I planned my trip only one week in advance! It definitely felt a little crazy. October is the beginning of the rainy season and transitioning into low season, so I knew that Machu Picchu was not going to be as busy as during the summer months. I checked the weather for the next week once I got into Cusco and found a day that looked like it would have little rain and chose that as my day to go! I went to my psytrance party, stayed up dancing til sunrise surrounded by ruins in the Pisac valley under the full moon, recovered, and started on my journey the next day. If you’re not doing the Inca Trail, typically the only other option is to take the train from Cusco or Ollantaytambo to Aguas Calientes and costs upwards of $175 USD roundtrip. There are no roads into Aguas Calientes, which is why it is so difficult to get there and (obviously) expensive. However, if you can make it through the Andes Mountains by car (not an easy drive! ), there is a way to hike there in only 2.5 hours. 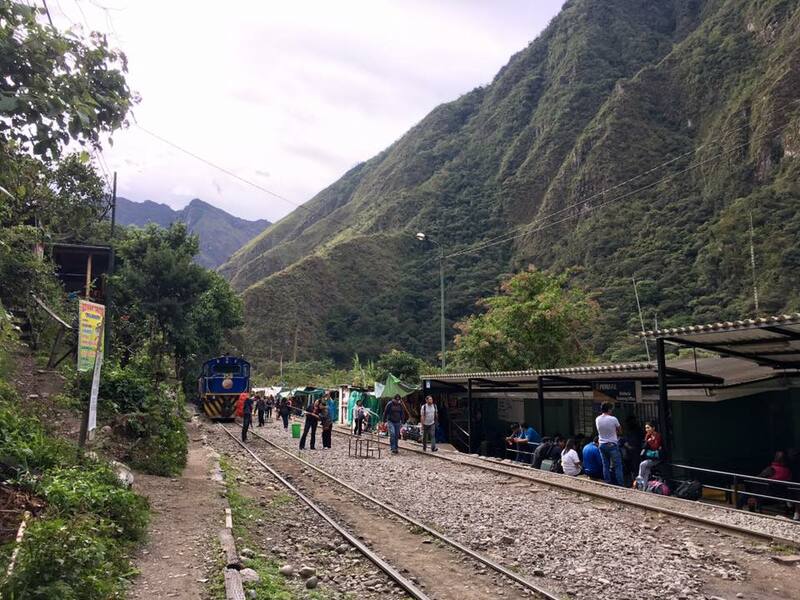 I had found a few resources online that said you could hire a taxi or bus from Urubamba to Santa Maria, then transfer to a combi (shared minivan) to Santa Teresa, and then again, taxi to a place called the “Hydroelectric Station” where you could walk along the railroad tracks into Aguas Calientes. It all sounded a little dodgy, but this was the only way I could make this happen on my tight budget, so I put my faith in the universe that this was a legit option. Originally, I had plans to go with a new friend so I arrived in Urubamba that morning to buy a bus ticket, but they told me they were all sold out. Instead, they set me up with a taxi for my friend and I. They told me the driver would accept her bus ticket as payment, so I set off with him to pick up my friend who was staying just outside of town. It ended up being an ordeal because I didn’t have service on my phone, which made trying to figure out where to pick up my friend difficult. In the end, the taxi driver tried to swindle her out of more money, saying he would not accept her bus ticket as payment after all. He tried to block me in the vehicle while harassing her, but I managed to fight my way out. I ended up getting my money back from him, collecting my bags, and getting a tuk-tuk back into town where I actually found a bus that took me directly to the Hydroelectric! Nothing worthwhile is ever without a little drama, right?! In the end, I didn’t have to endure any of that complicated change-vans-3-times sort of thing just to get to the Hydroelectric Station before a 2.5-hour hike. Unfortunately, that meant my friend and I got separated, but she was able to get on her bus and we were going to try to meet up in Aguas Calientes. However, she became ill on her ride through the mountains due to the altitude and very windy roads with sheer drop-offs and had to recover for an extra day in Santa Teresa (a jungle town with hot springs outside of Aguas Calientes), so I ended up on my own for a solo Machu Picchu adventure! That road is definitely not for the faint of heart, as it turns into gravel about halfway through with no guardrails around some very tight turns! How To Do Machu Picchu on a Budget! 1. 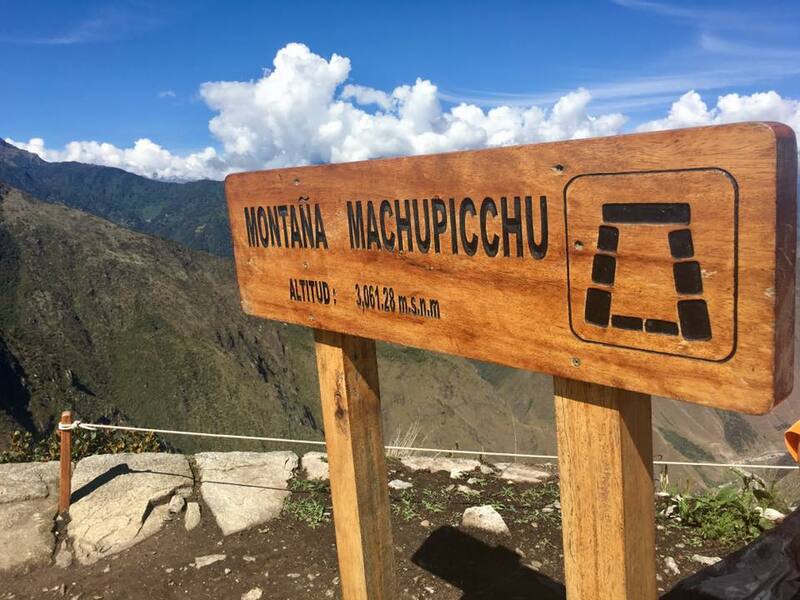 Decide what day you want to go and reserve your Machu Picchu ticket online through the government website here. The Thrifty Nomads also have a great article on how to buy Machu Picchu tickets. You can choose to only do Machu Picchu or pay a little extra to hike Machu Picchu Mountain or Huayna Picchu Mountain. Huayna Picchu is actually the mountain in the background of all the typical Machu Picchu photos and word is it is actually quite a scary hike, as there are some steep steps without guardrails that can cause vertigo. They limit this hike to a few hundred people per day, so it was sold out by the time I went ( a downside of planning in such a short time frame). 2. Leave your main bag at your hostel or hospedaje (aka guesthouse) and only take what you need. Make sure you bring your passport! 3. If you are already in the Sacred Valley outside of Cusco, catch the direct shuttle bus to the Hydroelectric Station from Urubamba. It is not the main bus stop, but if you ask people for the bus to Santa Maria, they will point you in the right direction. 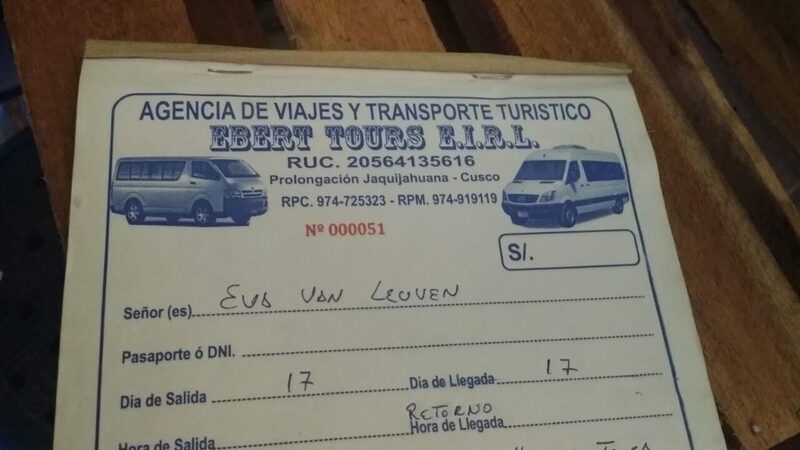 The cost is $12 USD and is a 5-hour ride through the Andes mountains. It goes through very extreme heights, quite windy roads at some points, and turns into gravel at the end. I do NOT recommend this drive during the rainy season. It rained when I took it on the way back and it was a little scary, but I had a good driver! It will stop before Ollantaytambo for the bathroom and snacks. There’s also a breakfast joint upstairs. If you want to break up the trip, you can take a shuttle to Santa Maria then a taxi or combi to Santa Teresa and check out the jungle hot springs. Either way, this road is not for the faint of heart as motion sickness definitely happens. Drink some coca tea and have a puke bag ready if you get motion or altitude sickness. 4. Get off at the Hydroelectric Station entrance and grab a bite to eat at a roadside stand then check in with passport control. Yes, there is a passport control for this hike. It was actually much more touristed than I thought! There were many local Peruvians and backpackers taking this route. Reading all of these online guides made it sound like I would be the only one doing this hike, but I was actually never alone the entire time. There are also some places selling food and water right past the passport control, too. 5. Walk along the railroad tracks approximately 2.5 hours to Aguas Calientes. It’s a little confusing at first but just follow the people and you’ll be fine. It’s a beautiful hike, too, so enjoy the scenery! It’s all flat, so pretty easy for the most part. 6. When you get into Aguas Calientes, go to the Machu Picchu ticket office right away to get your ticket. When I reserved my ticket, I didn’t have the option to pay online, it only reserved my day, so you can skip this step if you already have your tickets! 7. Walk around town and find a cheap place to stay. I found a private room with hot water and wi-fi for under $20 USD for 2 nights. It was a score! I ended up making friends with my neighbors and we went out for dinner, too. Eat local food to save money and skip the Pisco Sours! You have a long day ahead the next day. 8. Buy water and snacks the night before. Bring snacks with you instead of buying the concessions (they are expensive for Peru). 9. For the sunrise, wake up at 3:30 am and walk up to the entrance instead of taking the shuttle at 4 am (save $24 on a roundtrip ticket). The walk to the entrance of the hike to the Machu Picchu entrance is about a 20-30 minute walk from town, and the hike (all uphill, so be prepared), takes about an hour. I got there around 4:30 am and had to wait until 5 am for the gates to open to start hiking. There was a line. They now divide their entrance tickets into morning and afternoon visits, so if you’re not a morning person or want to go for the sunset, you can enter the park at noon the same way. 10. Unfortunately, the rules have changed in the short time since I visited and now all visitors to Machu Picchu are required to go with a guide, which means an extra expense. Since I was traveling by myself, this was an expensive option I chose to omit (I don’t like guided tours, besides there were so many going on I could easily listen into one at any time. I actually enjoy the freedom of exploring on my own the most, though). I believe this new rule is in effect due to the overwhelming number of visitors during peak times (sometimes upwards of 3000 people per day). For more info on the rules of visiting Machu Picchu, visit here. There were many guides available for hire in front of the park when I was there and I assume this is still true. 11. Take your time enjoying the hikes and various trails. There is so much to explore! I hiked Machu Picchu Mountain right away (it opens at 7 am) and stayed until at the park until around 4 pm. However, if you don’t hike one of the mountains, you will have to leave at noon according to the new rules. Don’t forget to get your free passport stamp on the way out! 12. Hike back down and walk back to Aguas Calientes instead of taking the shuttle (save money!). Your feet will be sore, but your wallet will thank you. $12 goes a long way in Peru! 13. The next day, walk back along the railroad tracks to the passport control at the Hydroelectric Station entrance. Wait there and eventually, a combi will come to pick you up. Make sure you walk past the parking lot with all the taxi drivers and ignore them. 14. Take the shuttle to Santa Teresa, then combi to Santa Maria and transfer again to wherever your destination is in the Sacred Valley. In my case, I was picked up by myself from passport control by a combi, spent the night in Santa Teresa to break things up and soak in the hot springs. Then I caught the early morning combi to Santa Maria the next day and had to wait awhile for the next transfer back into the Sacred Valley (which is why it was nice to break things up). In the end, you do have to take this way back from the Hydroelectric where it is broken up with the transfers (unless you find a tour company that organizes this trip for you). However, it costs the same amount as the direct shuttle I took to the Hydroelectric on the way there, the only downside is it takes longer to get back. So there you have it! This is how I managed to do Machu Picchu while already in Peru and traveling on a budget. The only thing not factored into this that will affect your trip is having to hire a guide, which could cost around $60 USD. You could also save money by not hiking the mountains, as well (but you’ll now get less time to visit the site). 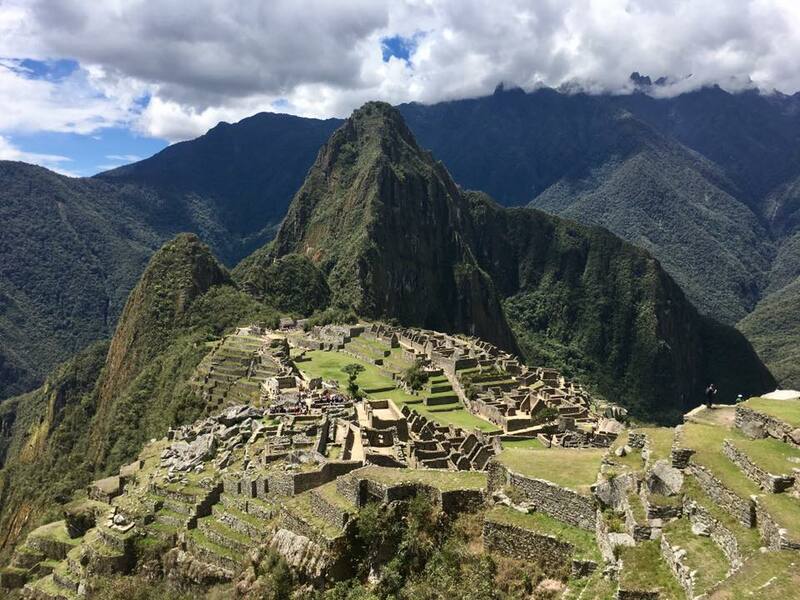 Have you been to Machu Picchu or are you planning a trip in the future? Comment below with your thoughts or questions! Love the post! You definitely were able to make this a budget trip. Very impressive. 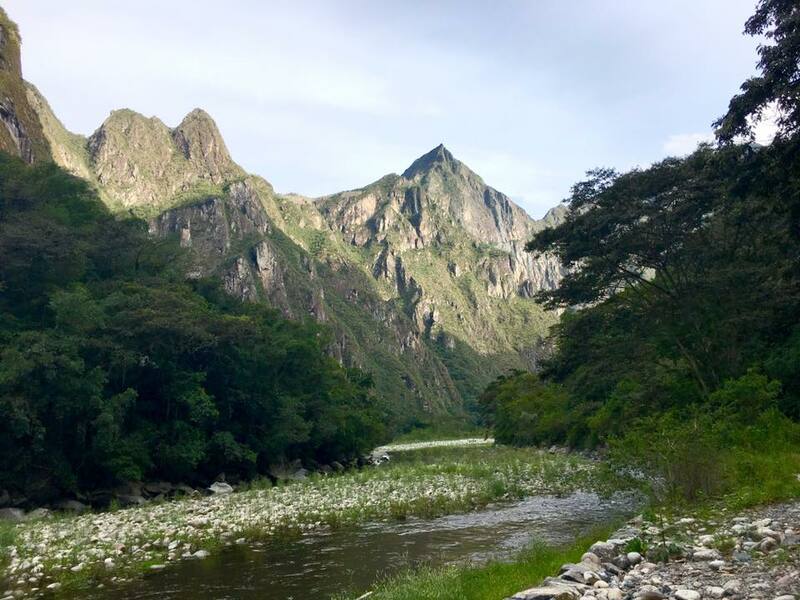 What did you think of the hike down back to Aguas Calientes? Difficult?